I’ve already reviewed the ZA True White Skincare range so don’t forget to check that out as well. 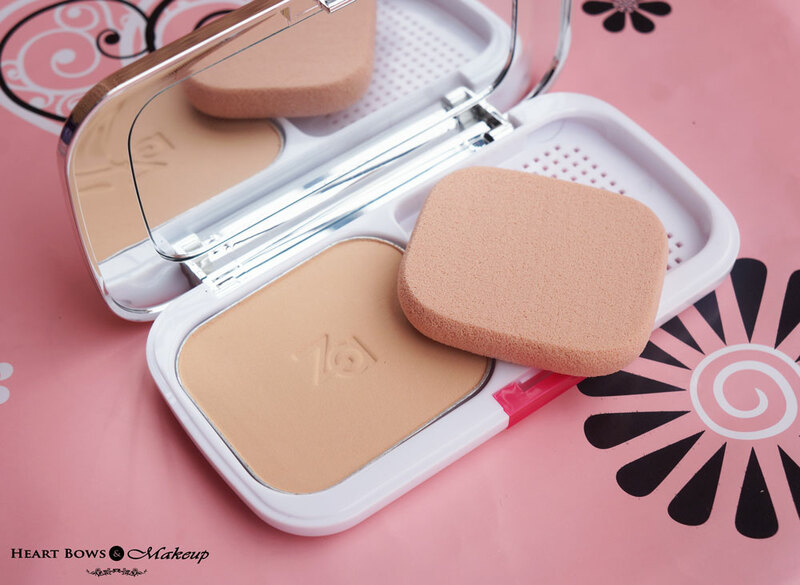 This compact light-weight powdery foundation minimizes the appearance of dark spots giving a pearly, radiant finish. Its Vitamin C ingredients diminish melanin formation while the SPF 20-PA++ protect skin from UVA and UVB.Can be used wet or dry for flawless and radiant, pearly-white finish without clogging the pores. 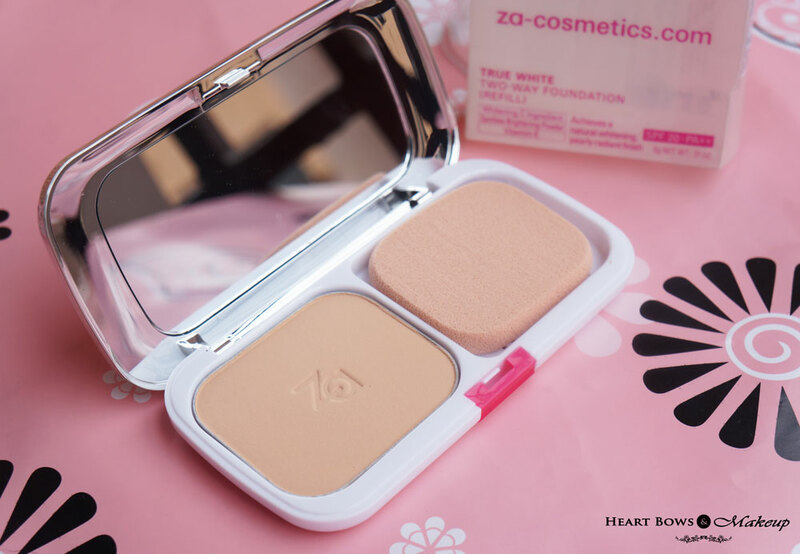 The ZA Powder Foundation is finely milled and is silky soft in texture. It quite reminds me of the Faces Glam On Pressed Powder but the latter is a bit chalkier in comparison. This does not give a powder-y finish and compliments my combination skin perfectly. 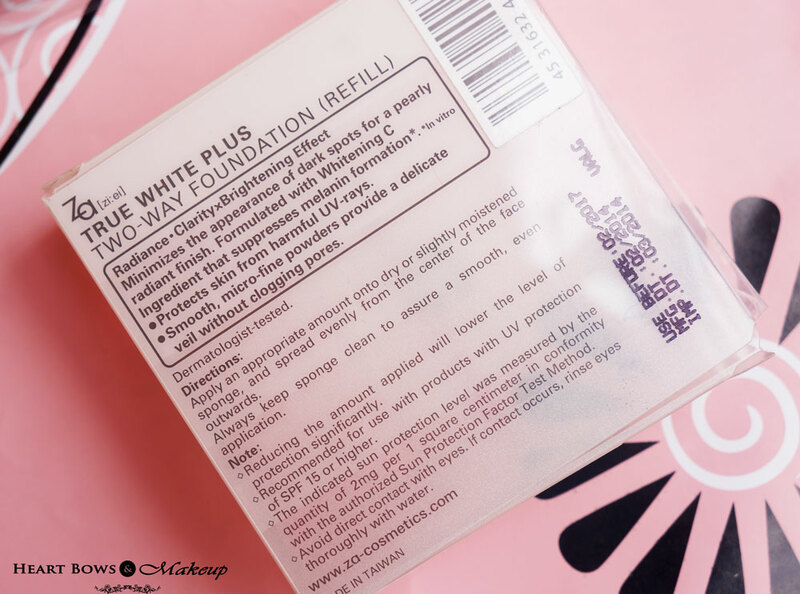 Like the name suggests – ZA True White Two Way Foundation can be used both dry and wet. You can use this like it is or dampen the sponge and then use the product which gives much better coverage. 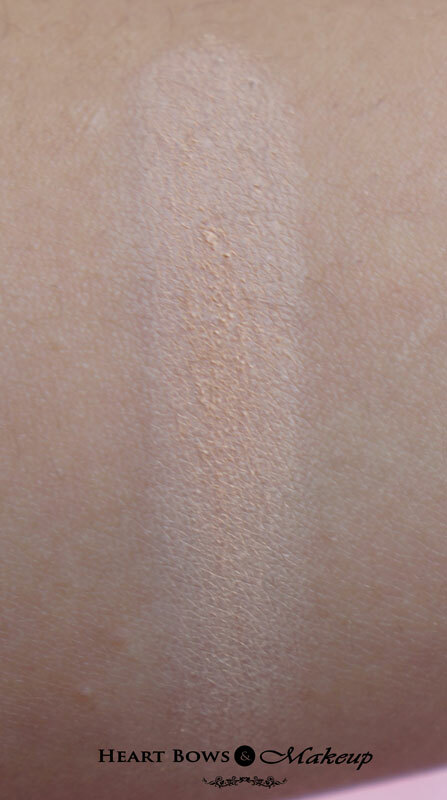 The ZA Foundation gives sheer coverage when used on it own with a powder brush or a sponge. When used wet, it gives medium and slightly more “made up” finish which feels a wee bit heavy for daily wear to be honest but those with dry skin will find that more comfortable to wear. It keeps the shine at bay for a good 5-6 hours making it the best foundation/compact for combination skintype. I haven’t had the chance to test it in the brutal Delhi summers but I have a feeling this will perform well. Shall update the post incase it doesn’t! The ZA True White Powder Foundations come in 4 shades -20, 21, 22 & 32. 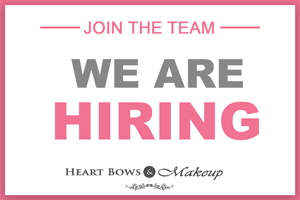 The first 3 shades are yellow toned while 32 has a pink undertone. I chose the shade 21 which is an exact match to my skintone and blends in seamlessly. It has the right amount of yellow in it and will perfectly suit fair skintones or those who are NC 30 to 37 in MAC foundations. Since this contains SPF 20, its not exactly suitable for photography but great for day wear due to the sun protection. HBM Recommendation: ZA True White Two Way Foundation is finely milled and has a silky texture. 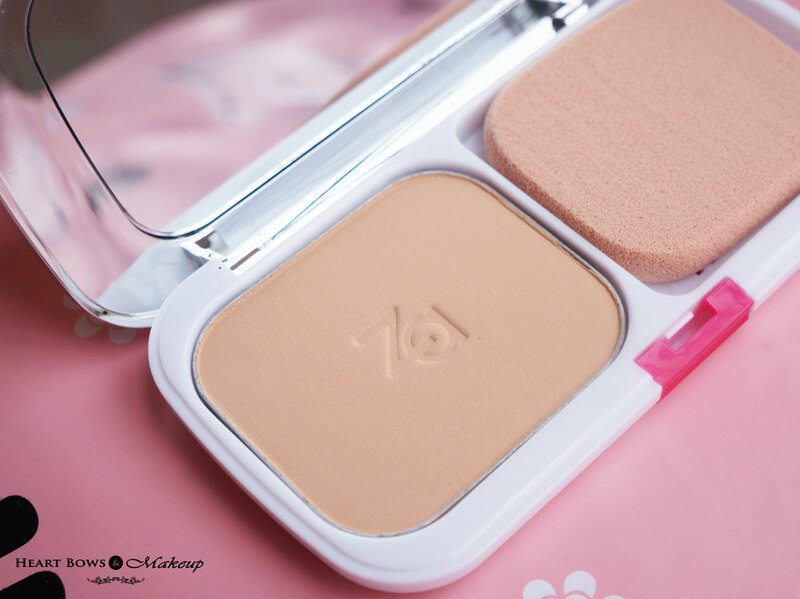 It isn’t chalky and gives decent coverage for a compact when used wet or dry. This is perfect for normal to oily skintype, especially those with combination skin as it controls shine for a good amount of time without feeling dry. This has become my current favorite pressed powder these days! Weight Loss Tips For Women!